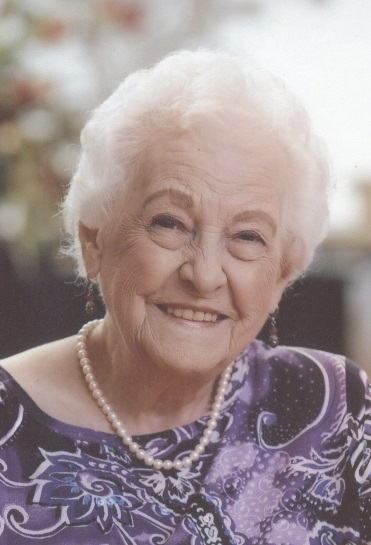 Gladys M. Huscher, 101, of Foxwood Springs Living Center in Raymore, MO, passed away October 1, 2018, at Foxwood Springs. A Celebration of life will be 10:00 am. Monday, October 8, at the Bromwell Lounge at Foxwood Springs at 1500 W. Foxwood Dr., Raymore, MO, private burial in Park Lawn Cemetery. In lieu of flowers, the family suggests memorials to the Fellowship of John, c/o Foxwood Springs Living Center. The family of Gladys would like to express their heartfelt appreciation to the staff of Foxwood Springs Living Center's Assisted Living and Clare Bridge Gardens for lovingly caring for their mother these past several years. Gladys was born August 23, 1917, in Stull, KS, to Irwin and Rose Kraft. She was a homemaker all her life. She was a talented, pianist, organist and seamstress. She loved to garden and read. She volunteered 18 years and 11,000 hours at Research Medical Center. She was a member of Raymore Christian Church and a former member of Meyer Boulevard United Methodist Church. She served as a pianist at Meyer Boulevard U.M. Church. She is proceeded in death by her husband of 62 years, John Huscher. She leaves her four children; Margie (Bob) Lane, Ron (Linda) Huscher, Mary (Gil) Arthur, Pam (Jeff) Littrell. 12 grandchildren, 17 great grandchildren and 7 great great grandchildren. She will be missed by all who loved and knew her. Ron, I am so sorry to hear of the passing of your beloved mother. Sounds like she had a very full life. She is resting in God's arm and God's kingdom. May you and the rest of your family be blessed with Jesus Christs Love and support and watch you during this time of your mourning and grieving your believed mother. We both send our love to you.